There are various reasons why sentimental and valuable items need to be temporarily placed in storage. If you need to store your rug, don’t take any chances or risk damage due to insect, sunlight, or moisture damage. We also roll and tie them, rather than folding them, which can cause deep creases and wrinkle lines over time. We recommend brown paper wrapping for one month or less of storage. Any period of time longer than one month, and we strongly recommend your rugs be wrapped in Tyvek. A moisture proof, tear resistant paper that will protect your rugs. 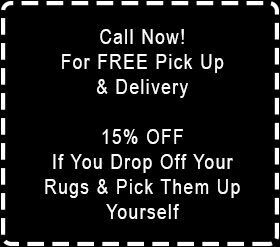 Contact the team at Magic Rug Cleaners today with any rug cleaning, wrapping, and storing needs.